A Dania Beach bank robber, who had a device on his body, was shot by deputies after he said he had a bomb, authorities said Friday. The suspect, who is about 49 years old, went into the Chase Bank at 300 E. Dania Beach Boulevard at about 11:30 a.m., said he had a bomb strapped to his body and demanded money, Broward Sheriff Scott Israel said. Authorities were not immediately sure if the device was active or explosive. They opened fire when he wouldn't comply with their orders outside the bank, Israel said. The suspect was taken to a hospital to undergo surgery. Earlier, after he left the bank with an unspecified amount of money, deputies confronted him, Israel said. Footage showed officers surrounding the bank with weapons drawn. A Dania Beach bank robber, who had a device on his body, was shot by deputies after he said he had a bomb, authorities said Friday. 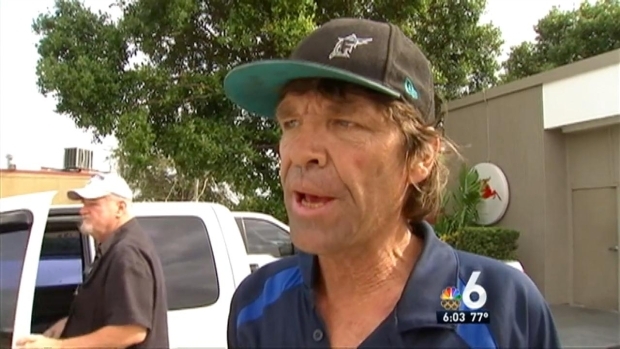 NBC 6's Willard Shepard has the story. Witnesses said authorities attempted to neutralize him. "It looked like he had a couple of plastic bags in his hand. 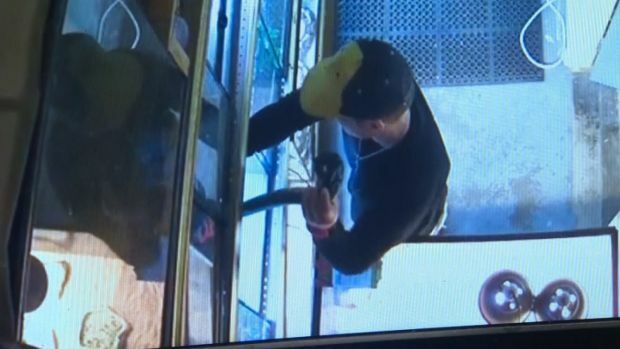 They're telling him get down, stay down," witness Bobby Teeslink said. Thomas Short said the man was told to stay down, but then he started getting up. "The next thing you know, I don't know if he made some kind of suspicious move, but I heard at least 15 to 20 rounds being fired," Short said. A volley of shots were fired at the suspect, according to witnesses. A Dania Beach bank robber who was shot by deputies after he claimed to have a bomb Friday will be undergoing surgery at Broward Health Medical Center, authorities said. 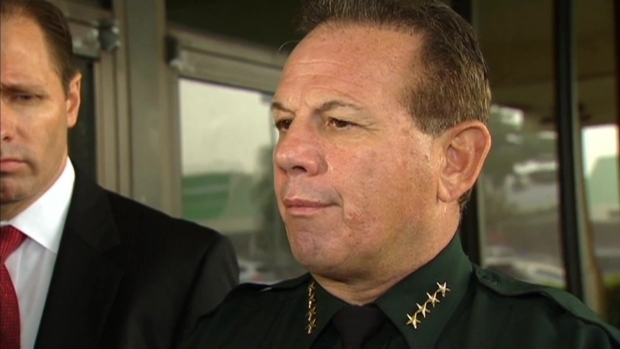 Broward Sheriff Scott Israel discussed the incident Friday afternoon. "I heard so many shots I can't even count 'em," Teeslink recalled. "I said to my roommate did you hear that. I said something is happening here man." He was shot by deputies, the BSO said. As soon as the man was on the ground, the BSO Bomb Squad brought in its bomb robot and other technology, which they used to eventually cut the device from him, Israel said. Over an hour passed before the SWAT team moved in, handcuffed the man, put him on a gurney and rolled him away. He was taken to Broward Health Medical Center, Israel said. The bank was evacuated, and there were no hostages, authorities said.